This cam is an excellent choice for use with or without our Performance Heads on both the 5.7L and 6.1L HEMI motor! 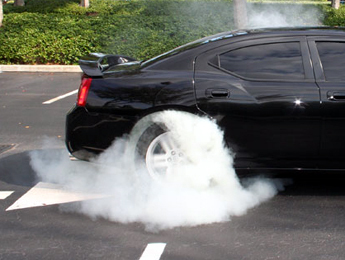 Marsad's (aka LitiGATOR) SRT 300C is now a tire smoking monster after getting our Spartan Camshaft and Standard Valve Performance Heads on his 6.1L HEMI. 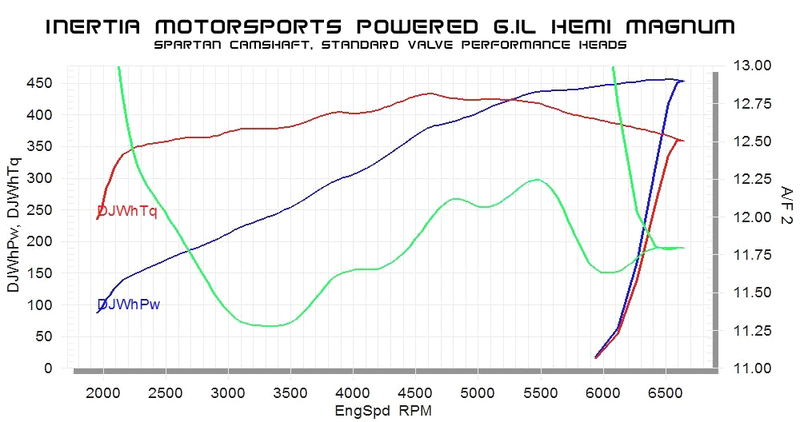 After getting tuned his tune worked out by us and Diablo Motorsports directly, Marsad's SRT put down 440hp and 425 lbs of torque and continues to be among the fiercest 300's in South Florida. He recently hit a personal best at Palm Beach International Raceway with a quarter mile time of 12.25 @ 116.71 MPH on street tires... Way to go, Marsad! 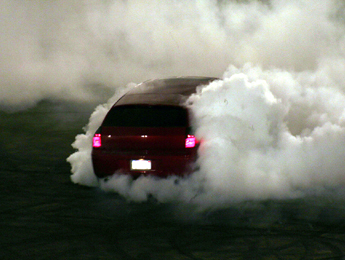 Cam was the 6.1L NA Winner of the 2007 Southeast Shindig and the 2008 Route 66 Burn Out Champion. This is a 2006 Dodge Magnum owner who swapped out his 5.7L HEMI for the 6.1L decided to go with our Spartan Camshaft and Performance Cylinder Heads. He's laid out some impressive numbers on the dyno along with running a blistering 11.7 @ 117.1 on the quarter mile drag strip back in 2008. 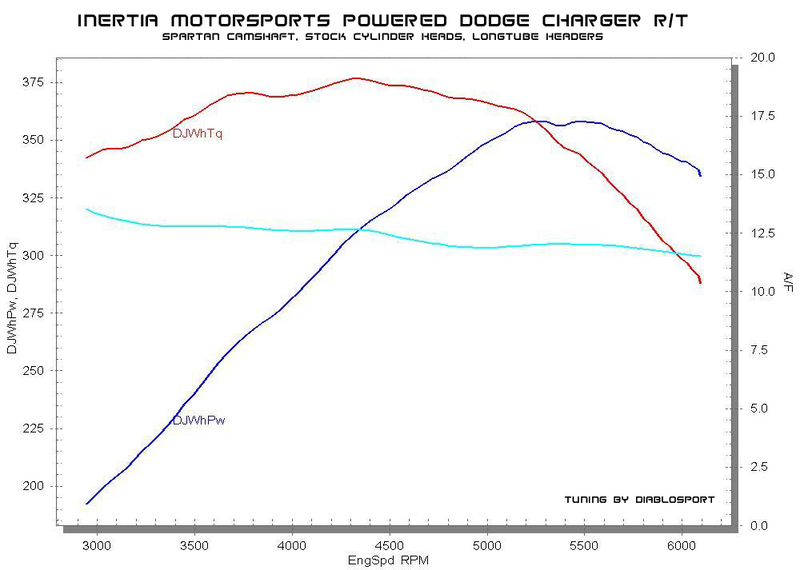 Bryan's (aka BigHemi06) 2006 Dodge Charger R/T recently dyno'd 359hp and 378 torque to the rear wheels on a Spartan Cam, utilizing his stock heads and long tube headers. As you can see, this camshaft has proven itself an excellent choice to get the most from your stock cylinder heads. Our friend, Kenny P, got the hook up with a Spartan (114 LSA), Standard Valve Performance Heads, Longtube Headers and Highflow cats. 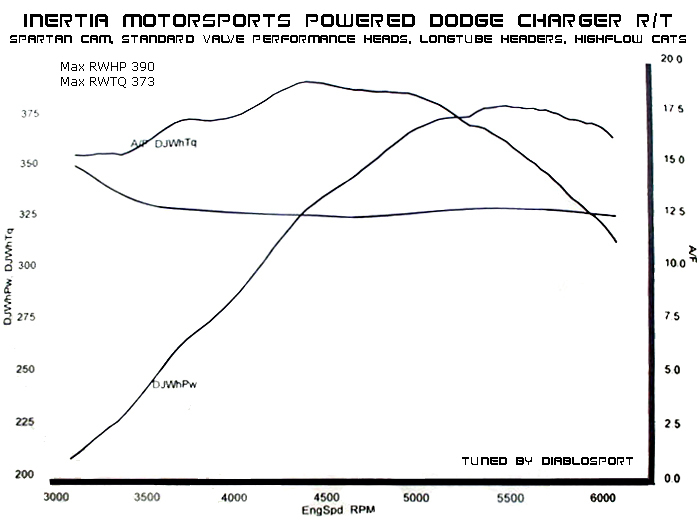 Following tuning, he netted a rubber burning 390 RWHP and over 370 RWTQ. Not to mention, with this MDS compatible camshaft, a Spartan powered 5.7L might even maintain better gas mileage than a stock 6.1L. Power and fuel efficiency - What more could you want? Copyright © 2008 InertiaMotorsports.com. All Rights Reserved.